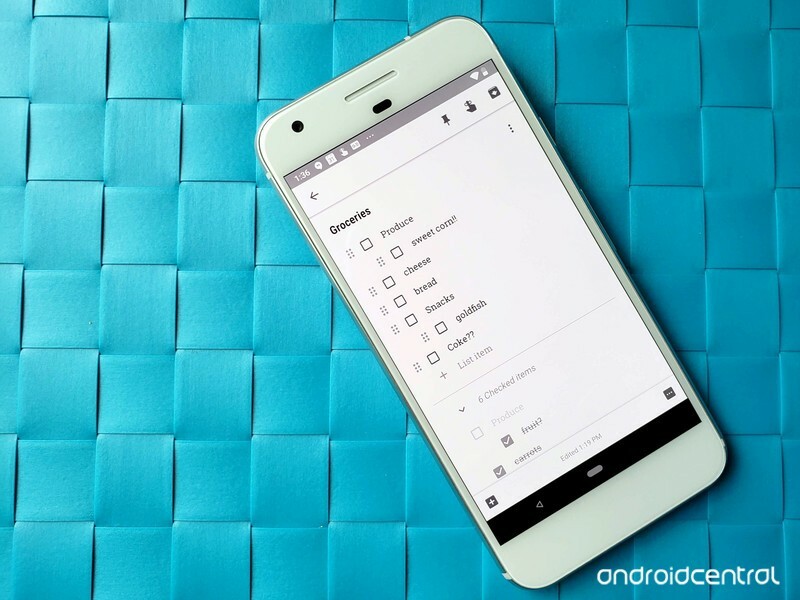 Google Keep is part to-do app, part note-keeping app, part inspiration board, and all awesome. While there may be more powerful productivity services out there like Evernote, Google Keep is easy to use, available on just about every platform you work on — and built right into the recent Gmail redesign — and it is free. 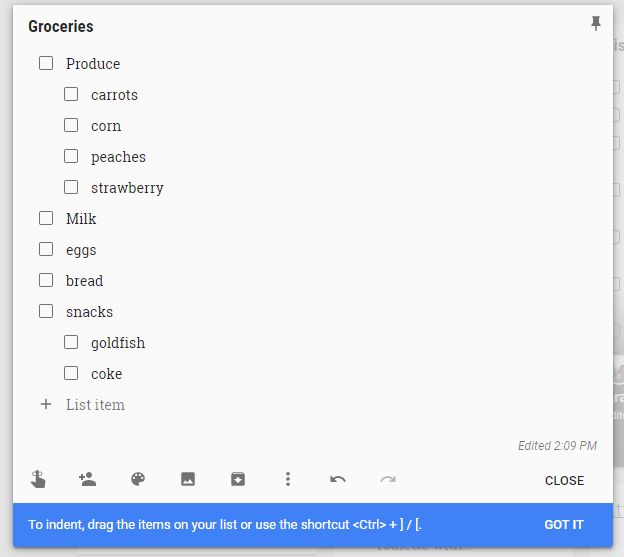 Google Keep’s lists have long been my go-to for article outlining, grocery shopping, and theme building, but now they’ve been turned up to 11 with the ability to indent list items. Indenting items in Google Keep allows you to create sublists and keep sections of items together. For instance, I can now arrange my handy-dandy Grocery shopping list by food type or store section, like Produce, Frozen, or most importantly, Snack. When using a keyboard on Keep’s website or the Google Keep panel in Gmail, type Ctrl and ] to indent a list item. To un-indent, type Ctrl and [. At the moment, you can only indent items one level, so you can’t have a sublist inside a sublist. Indented items are automatically grouped with first non-indented list item above them. If you check the item at the top of a sublist as done, it will mark every item in that sublist as done and move them down to Completed items. If you mark a single item in a sublist as done, then that sublist item will appear in Completed items under a second sublist heading while the unfinished items stay under the main sublist in the Non-completed items. Sublists were one of the few things that Google Tasks had that Google Keep did not, and Google Keep does them out of the gate better than Google Tasks ever has. There are still a few more things Keep needs — a black note color, allowing multiple reminders and reminder types on a single note, bringing back proper Google Assistant integration — but sublists are a welcome addition to Google Keeps’ robust toolbox and I intend to take full advantage of it. ← PlayStation VR: The Ultimate Guide!